Students celebrate this special day in a big way! They gather on stage to share their morning assembly of songs with family members who come to watch and sing a long. 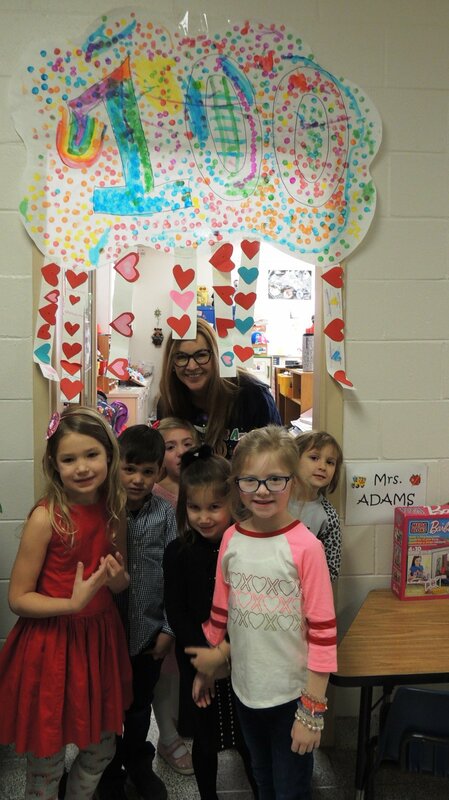 Classroom doorway entrances were decorated with 100-Day gateway tunnels and streamers, and bulletin boards were decorated with art work. Mrs. Herschlein shared, “Thank you to all of our kindergarten parents for attending the 100th Day Concert. The children loved performing for you and they did an amazing job! A special thanks to Mrs. Beja, our music teacher, for all of her hard work in preparing the children and planning such a special event.” Happy 100 day!